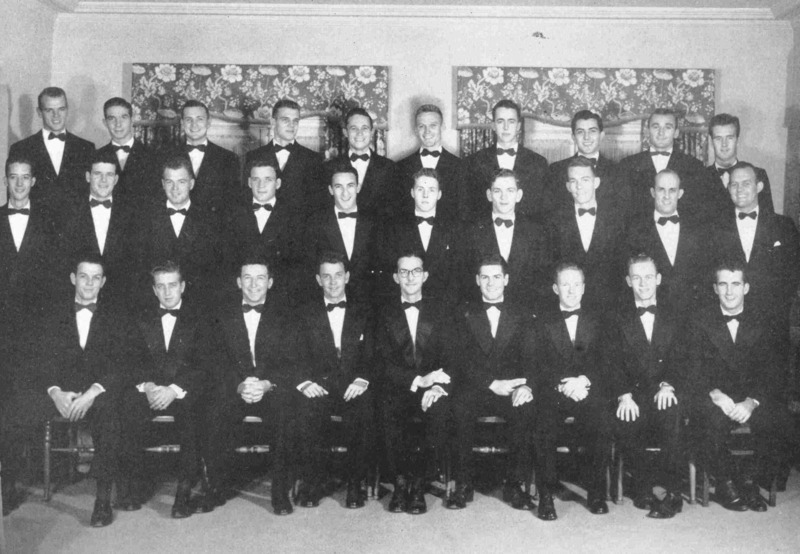 Soon after becoming Florida State University, eleven national fraternities approached the University administration about the possibility of establishing local chapters at FSU. As a result President Doak S. Campbell appointed a committee to make recommendations to the University Executive Council. The Executive Council agreed to allow eleven fraternities to establish local chapters.They asked ATO and the other fraternities to verify their interest. Within a month ATO sent the following wire, “In response to your letter please regard this as official confirmation of the interest and desire expressed verbally by ATO representatives, and also during our phone conversation today, to establish a chapter on your campus. By February 1948, the Alpha Theta Phi Colony was established and operational. They submitted a Petition to ATO before the year ended. Province Chief Henry G. Palmer submitted his approval of the petition on November 9, 1948, and the National Fraternity ultimately approved the petition. 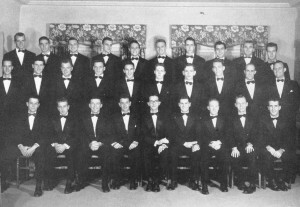 During the 1947-48 school year, ATO placed first in fraternity scholastics and second in intramurals. While the National Fraternity was moving forward with the colonization process, so too did the University. A Faculty Fraternity Committee developed guidelines and procedures for local colonies to follow before “going national.” An Interfraternity Council was organized. Local groups were required to have at least 20 members but not more than 40. All were required to have a faculty advisor. They were prohibited from purchasing fraternity houses or renting homes without the approval of the Faculty Fraternity Committee. On February 15, 1949, Dean Culpepper informed ATO National Executive Secretary Stewart D. Daniels that the Alpha Theta Phi colony had complied with all of the requirements of the University. Florida State set a date of March 5, 1949 for issuing charters. Plans were set to charter Florida State University’s first fraternities. On Friday, March 4, 1949, Dean Culpepper held a meeting of all of the executive secretaries.Alpha Theta Phi held a practice initiation ceremony from 4:00 – 6:00 p.m. at the Baptist Church that day. At 7:00 p.m. they ate at an informal banquet at the Talquin Inn. The following morning, ATO had breakfast at the Dining Hall at 9:00 a.m., followed by a Smoker at the House at 10:30 a.m. and a Luncheon at 12:00 noon. Although newspapers reported that ATO’s initiation would occur at 1:30 p.m., it actually took place at 10:00 a.m.at the Baptist Church. All eight official fraternities, Alpha Tau Omega, Delta Tau Delta, Kappa Alpha, Phi Delta Theta, Phi Kappa Tau, Pi Kappa Alpha, Sigma Alpha Epsilon, and Theta Chi, joined together Saturday evening for the IFC Banquet at the Dining Hall followed by the Interfraternity Dance at the Student Union on West Campus. On Sunday, ATO held religious ceremonies at 11:00 a.m. in the Conradi Little Theatre followed by an Installation Banquet at the Cherokee Hotel. All of the fraternities enjoyed tea at various sorority houses that afternoon. Both the Florida Flambeau and Tallahassee News-Democrat covered the event in the newspaper. The first formal meeting of the Epsilon Sigma chapter took place on March 29, 1949, at the chapter house on West Campus, and so the legend was born.